Hello and Happy Halloween to everyone... Today I'm sharing a project based on a piece I created a few years ago. 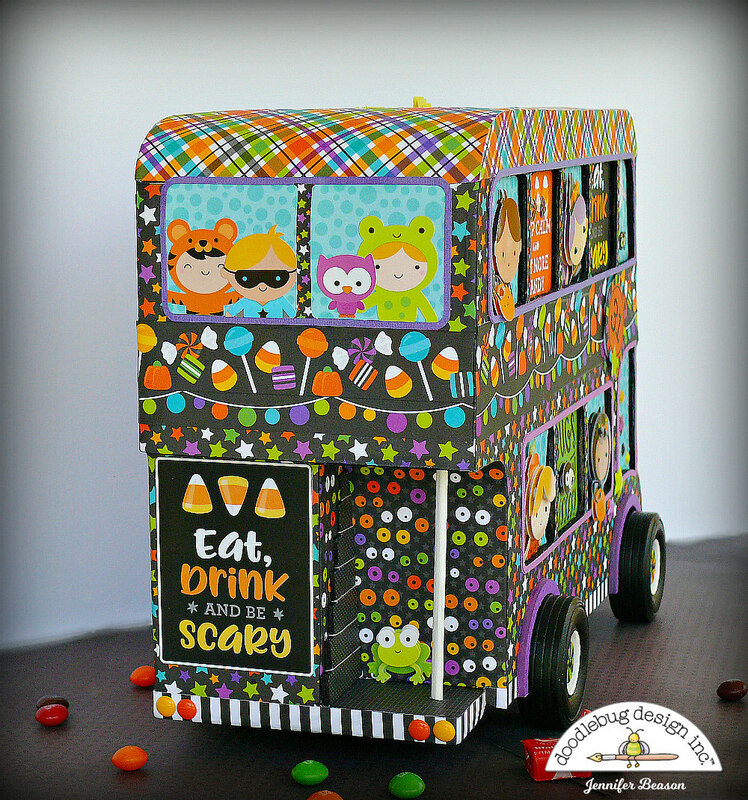 That treat holder was made from a bus shaped mini album and some DB supplies. The box was created using chipboard and foam core. The finished size on this is about 12"w x 9"h x 6"d. I did not do a tutorial for this project but here's a look at the box while it was being built. The sides were cut from layers of chipboard and covered with paper. 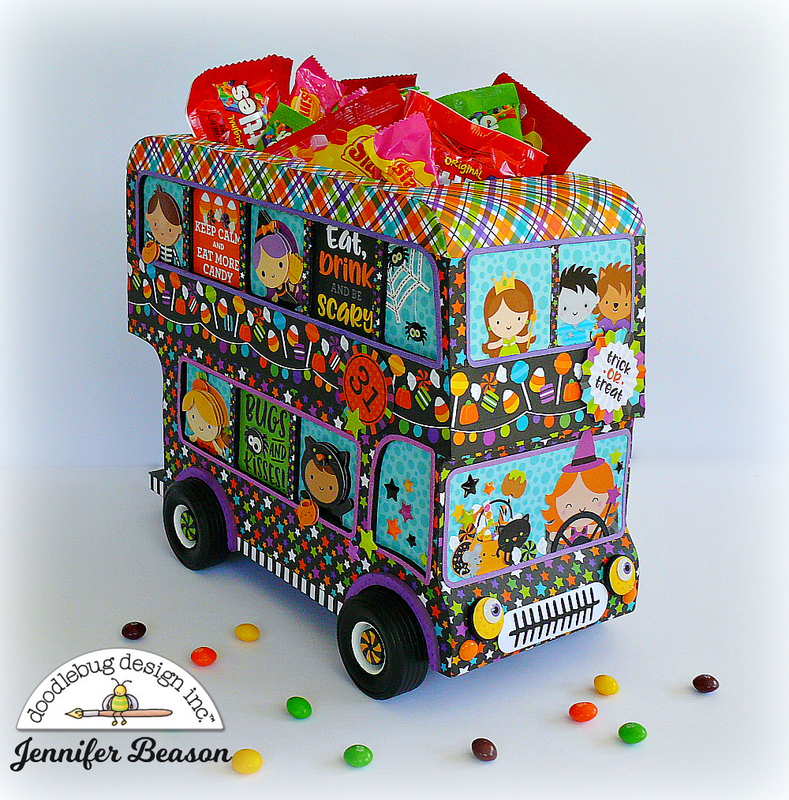 Doodle-pops, stickers, paper and die-cuts were then used to decorate each side. 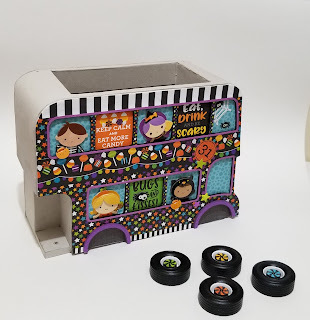 Wood wheels with die-cut candy centers were added to the box to finish it off. 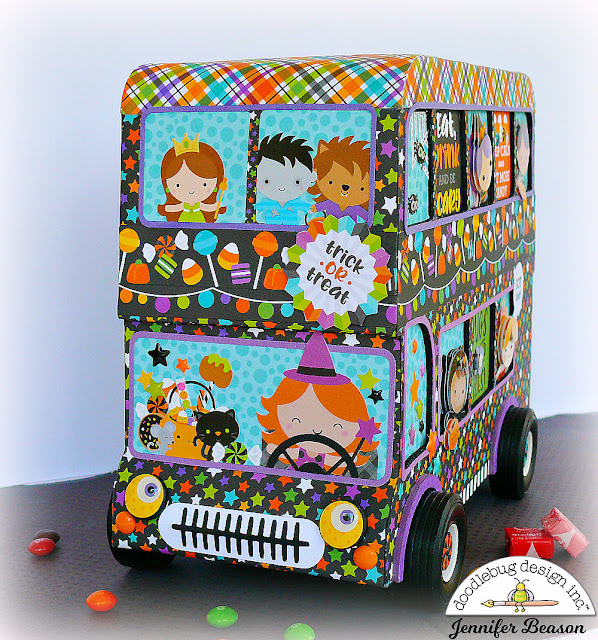 I just love the google eye sprinkles and thought they would be a fun addition to the bus headlights. More stickers were added to the back of the bus. And I couldn't resist placing a frog doodle-pop near the stairs. Here are some more close-ups of the completed project. Photographs are the artwork that hang in our memory gallery, and without them we'd lose precious moments forever. But, that doesn't mean they have to be of a certain 'traditional' shape or size. Every now and again it's fun to let a photo take on the shape of the particular subject it's representing which is why I decided to cut this particular photo to mimic the pumpkin... except for the ears which were left as they were as you can't have a dog without ears! For the layout background I decided to use the grid side of the new Floral/Grid Petite Prints as I wanted a fairly plain backdrop for the photograph and stitching. 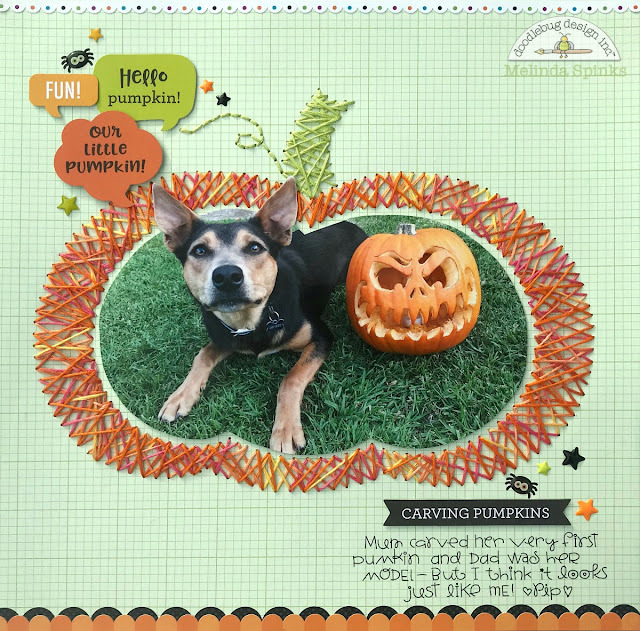 To create the pumpkin I printed a pumpkin shape onto plain copy paper and positioned it onto my layout before pin pricking all the stitching holes. Using a multi-colored embroidery thread and literally stitched from one side to the other criss-crossing my way around the design. All the embellishment pieces were from the Pumpkin Party 'Chit Chat' Pack which has 117 fun words, phrases and sentiments that are perfect for enhancing your project. 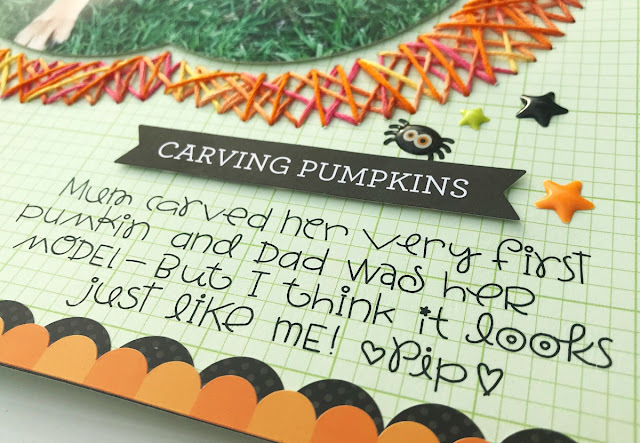 The title piece 'Carving Pumpkins' was also from the Pumpkin Party Chit Chat Pack and my journaling was created using Doodlebug 'All Mixed Up' rub-on alphas. They really were the perfect look the theme of this layout. 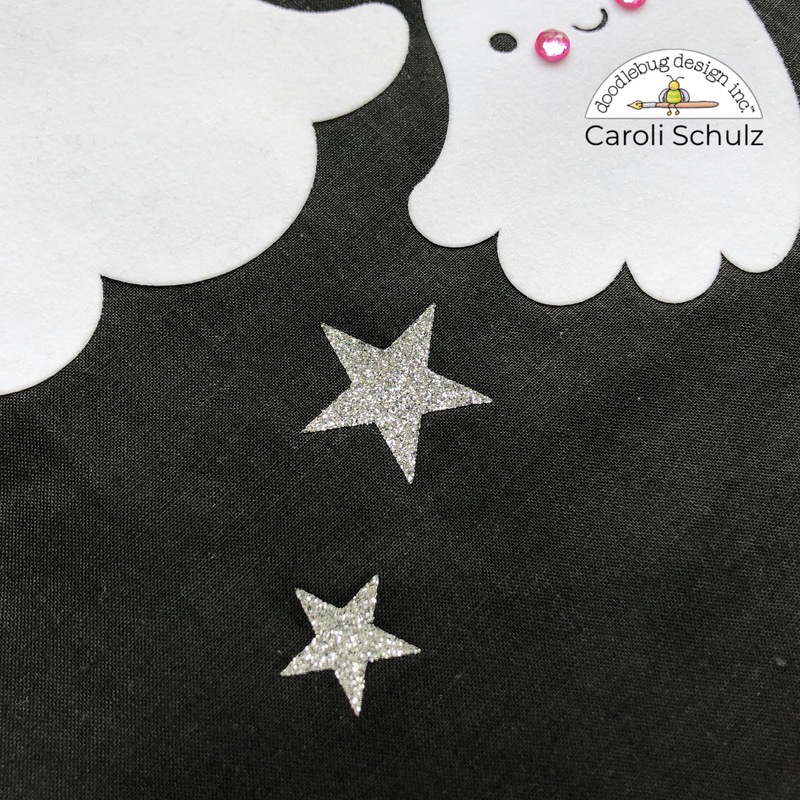 I added little stars and spiders to soften the overall look of the layout. Finally I decided on adding a couple of border strips from the 'This n That' sticker sheet as I felt the layout needed something to really drag the eyes down the page. 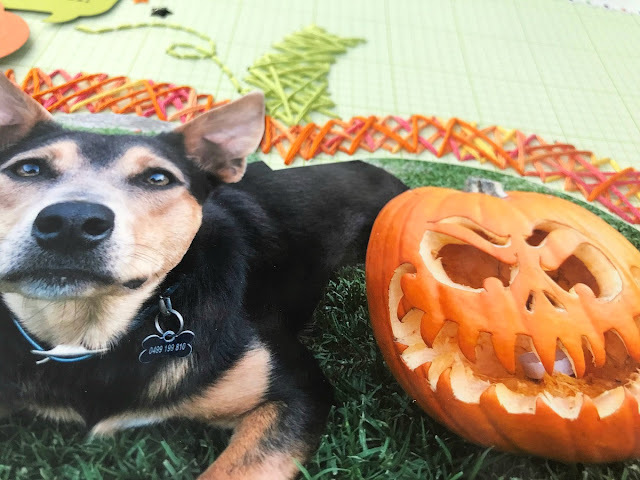 So, for all of you taking Halloween photos tomorrow, don't forget they don't always have to be square, you can have any shape you want, even if the ears stick out. That face!!! Such personality! I wanted the picture to be the focus so I enlarged it to be 9.5" x 9.5". 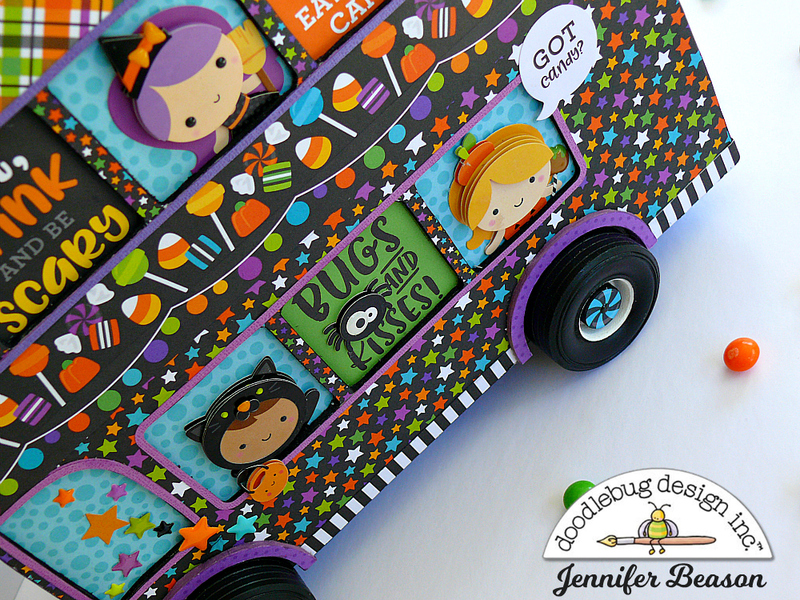 I backed it with some new Dot-Stripe Petite Prints in Mandarin and Lilac, and then with the Party Plaid Paper from the Pumpkin Party Collection. I cut the Pumpkin Party - Pumpkins in a few different sizes from some Dot-Stripe and Floral-Graph Petite Prints in Mandarin. Here's a hint to make the pumpkins look different... In addition to resizing them I also used the flip horizontally function in Silhouette to make the same file slightly different. 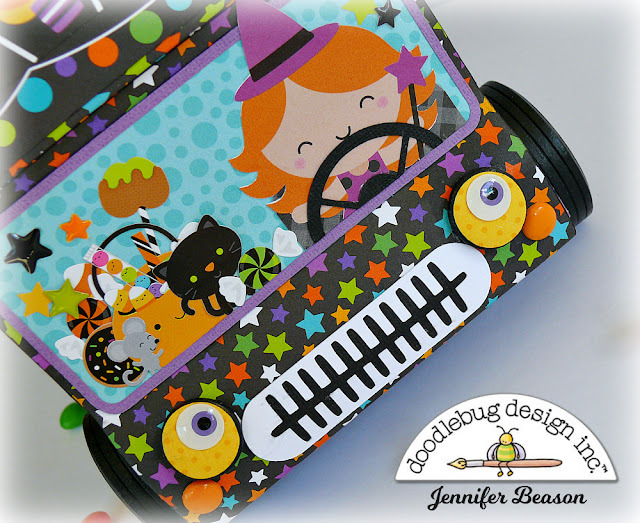 I also added the Web and spider from the Pumpkin Party Web Lantern file to the corner of my layout using some Beetle Black Dot Stripe Petite Prints. I made the spider 3D by cutting two of the spiders, then cutting one so that it was just the body. I then layered them with some foam tape between the layers for dimension. 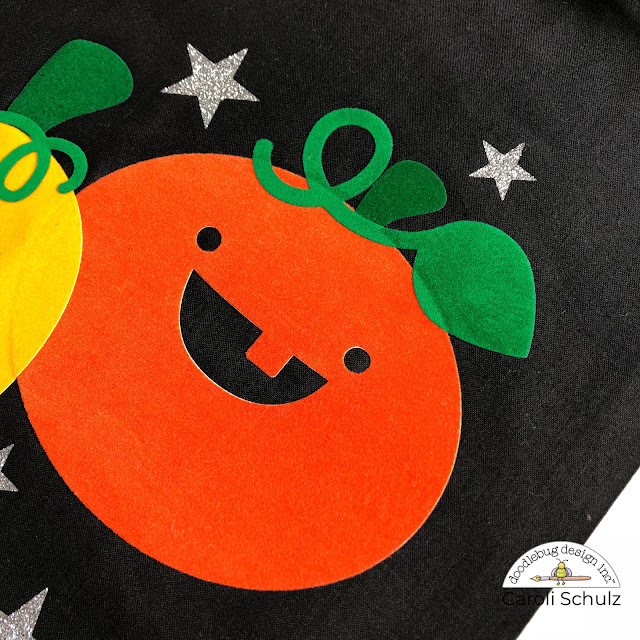 The eyes are from the Eerie Eyes Shaped Sprinkles and the speech bubble is from the Pumpkin Party Chit Chats. I finished off my layout with my title which was made from Tangerine Abigail and Teensy Type Alpha Stickers. I love mixing fonts! 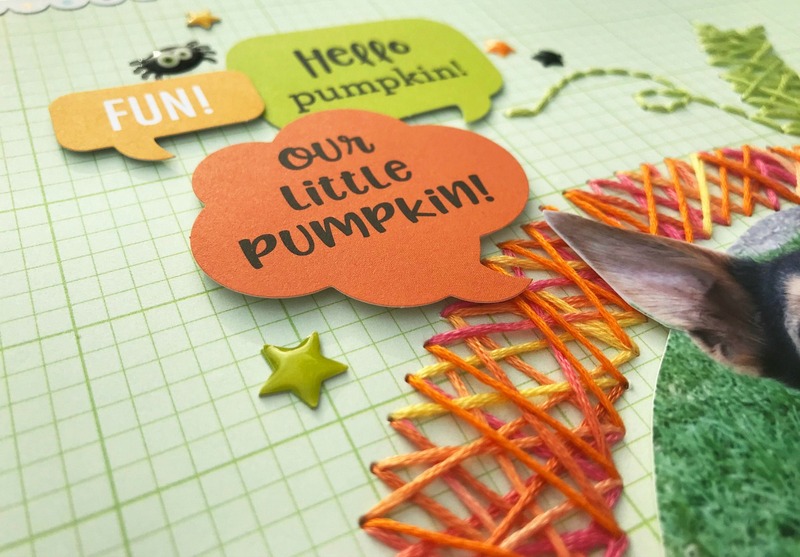 Have you created a project using the Pumpkin Party Collection or Cut Files? 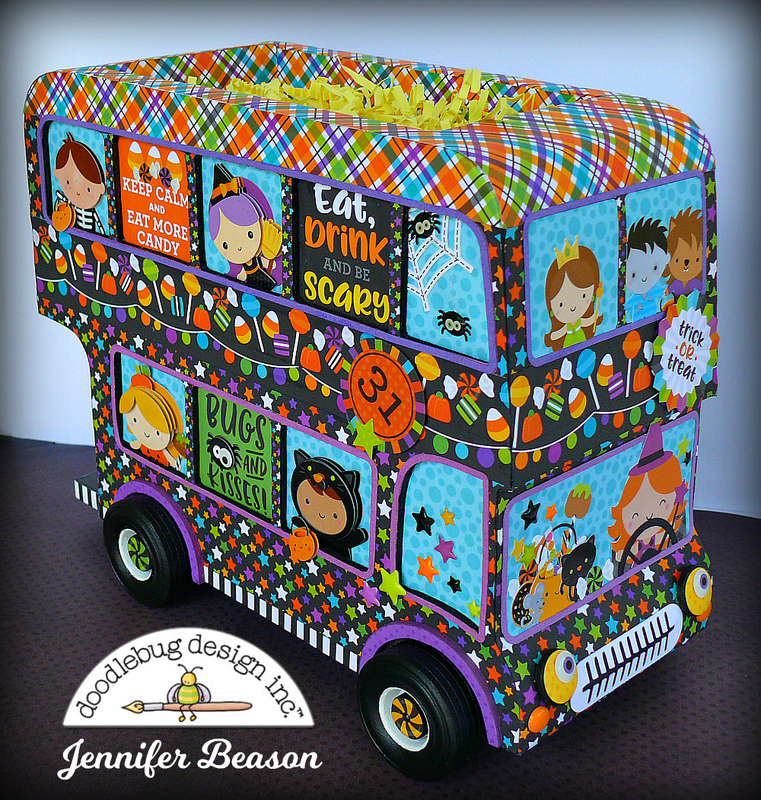 Be sure to tag Doodlebug Design on Social Media so that we can see your creations! That's it for me today, thanks for stopping by to peek! 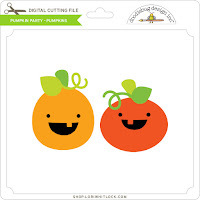 How fun are the new pumpkin party cut files they are just super cute aren’t they! 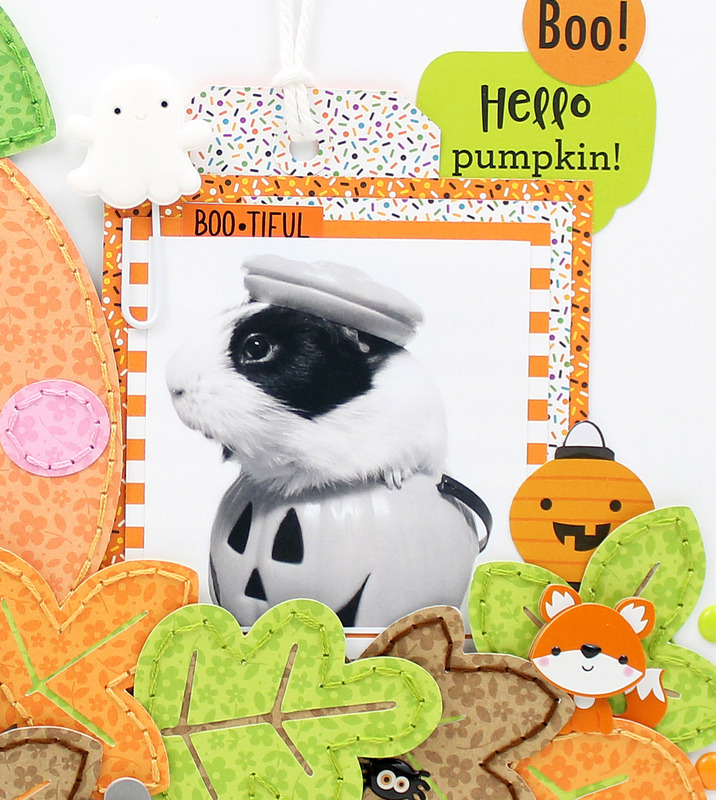 I decided on this cute photo of my guinea pig Pip in a pumpkin that I took when my girls were little they loved dressing up the guinea pigs and taking photos. I have a confession to make...I have not always been a person who has loved crafting for Halloween. The creepy, crawly part of Halloween is just not my thing. But when I discovered Doodlebug's Halloween collections, I was hooked. 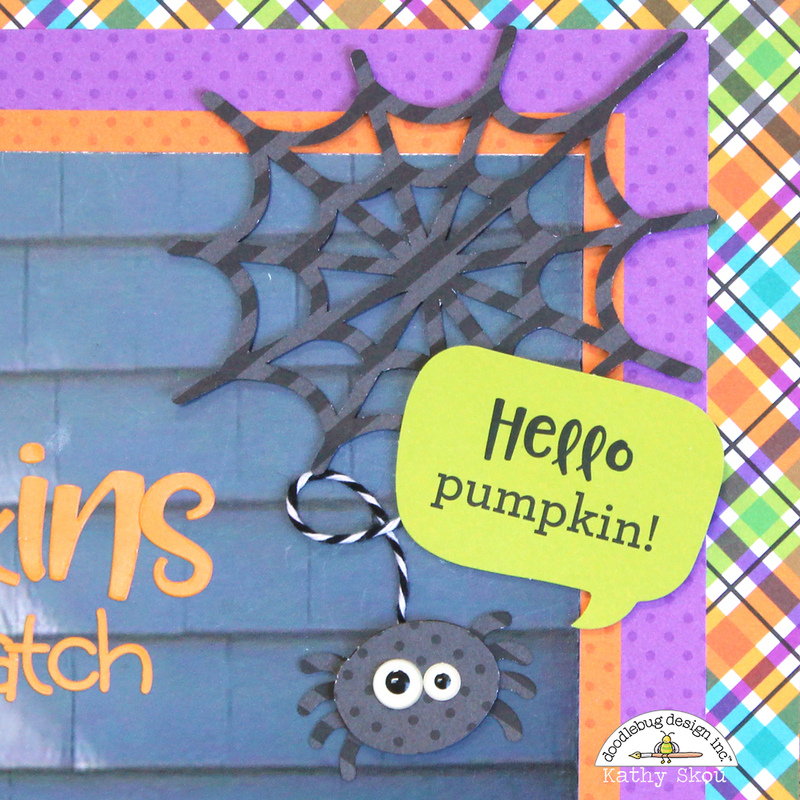 And with collections like the new Pumpkin Party, I actually craft as much for Halloween as I do for Christmas! This collection of step cards was inspired by the amazing shapes in the Odds and Ends pack! I love that there are as many background shapes as there are cute characters! 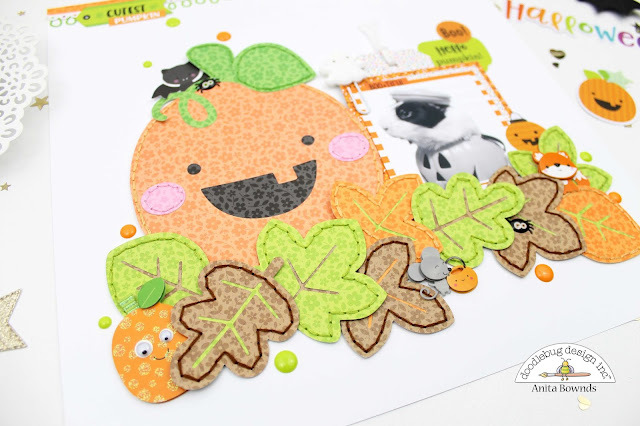 They make setting up cute step cards as a little scene a breeze! And while I love the background pieces, like the amazing spooky tree that is as spooky as he is cute, and the fantastic acetate fence, who can deny that this little zombie isn't as sweet as can be as well! The Odds and Ends packs are a card maker's dream! For the background papers I torn into my 6x6 paper pack and teamed it up with some Floral-Grid Petite Prints. I happen to love the scale of the prints on the patterned paper in the 6x6. It's all the cuteness of the 12x12, but in a mini version. The papers pack a lot of punch and some interest that can really add to a card. The 6x6 paper pad also has two different sheets with darling little greetings, each sheet in a different size and with different greetings. 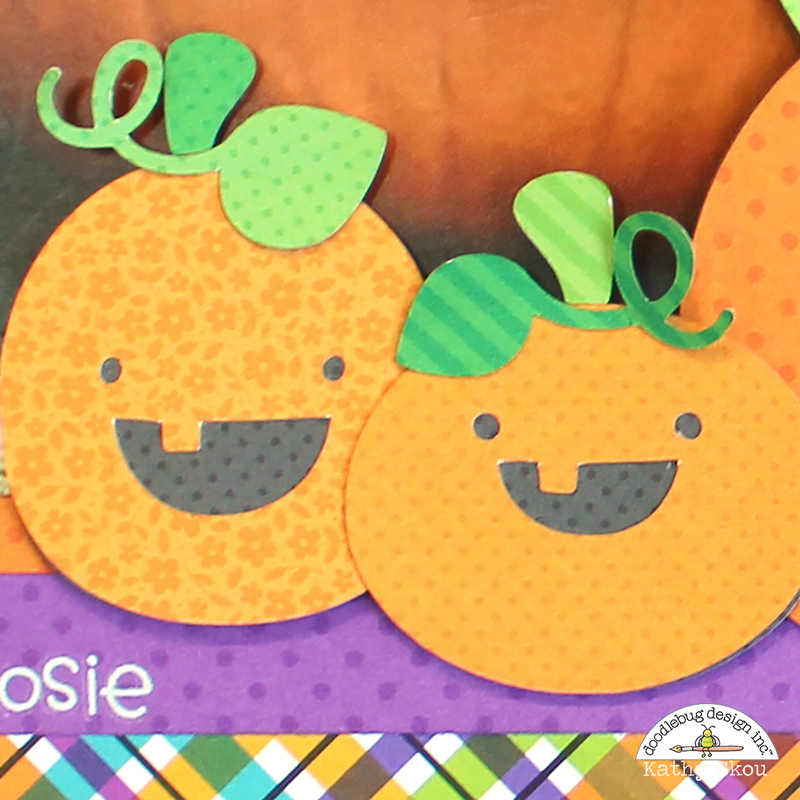 For this particular card, I cut one out that simply says "Tick or Treat". 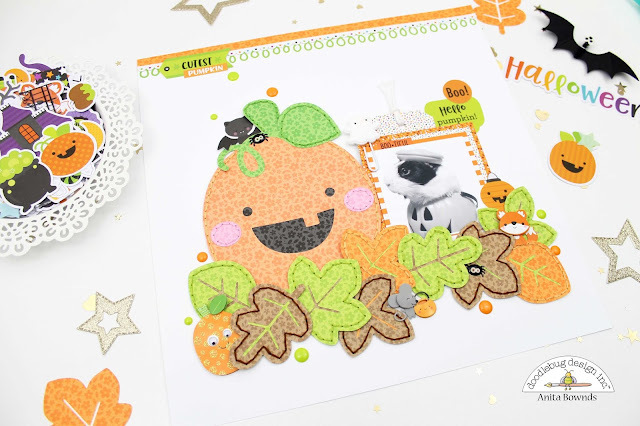 And while the Chit Chat packs are perfect for sentiments on cards, like I did with both the zombie and ghost cards, I like that Doodlebug always gives me choices across products so that I can just keep crafting and crafting and crafting! Oh, and I know I have mentioned this in almost every single post I have have done for Doodlebug, but as a card maker, I just love the mini paper clips. I go through these little guys like I go through my kids Halloween candy (but don't tell them that). I love that they add just that little bit of dimension that makes my card look layered without all the bulk! It's a doodlebug product I just don't want to live without! So there you have it - until about 6 years ago, I never would have thought to make or hand out a Halloween card. 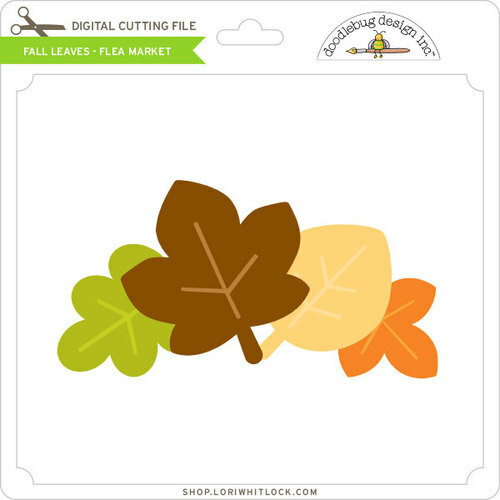 But with Doodlebug product around, I just can't help myself. I know you will love this new collection as much as I do! As I told you on previous posts, I love halloween, it's such a fun event in my house and every year I try to prepare little details for my children. 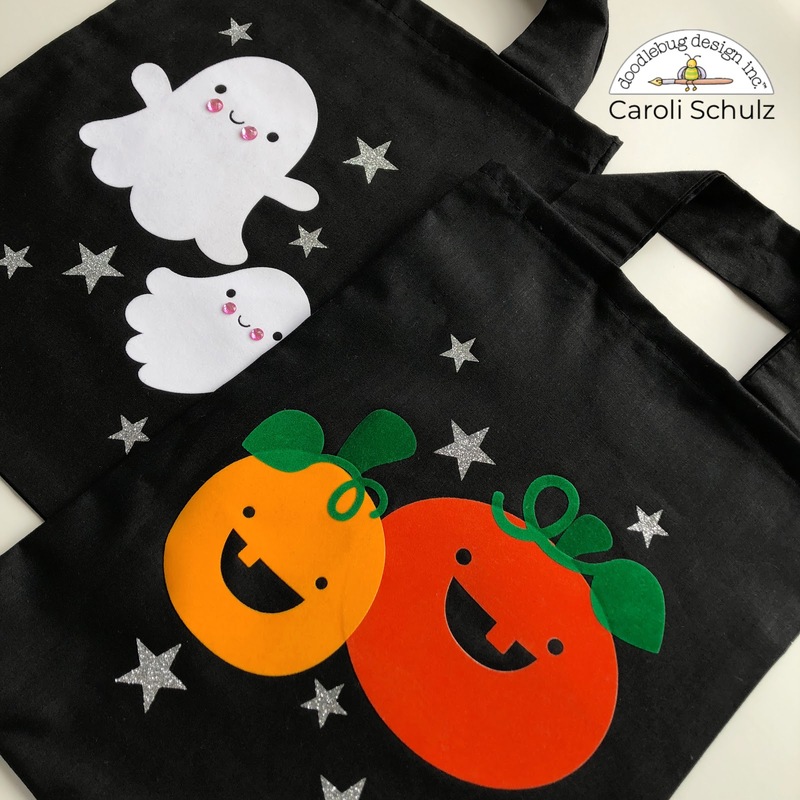 This year it will be a different kinds of Halloween, because I will be out of my country (having a mum vacation) attending a scrapbooking convention (YAY!). For this reason, I decided to make some cute bags for them to go candy collecting, so they will have a bit of mom with them on that day. My little girl was especially excited about them (she happens to love Halloween too!). For this, I used few of the fabulous cut files from Pumpkin Party collection, already available at Lori Whitlock shop and soon at the Silhouette Design Store. 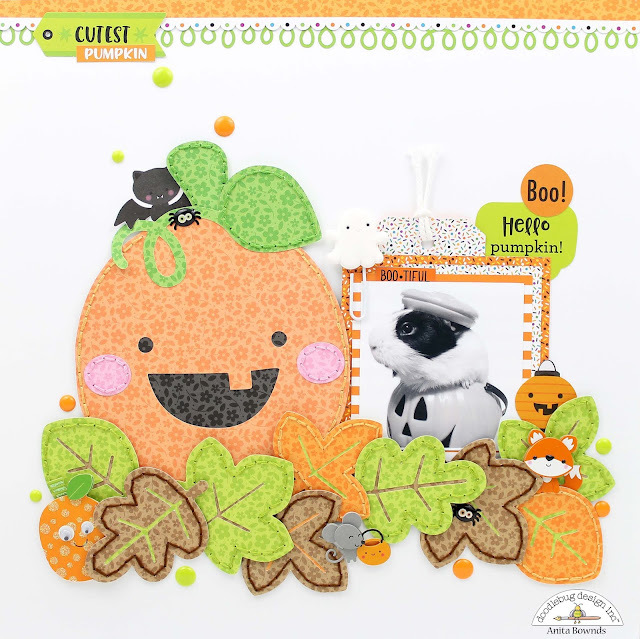 I wanted to create a simple but yet lovely cluster of images, so I chose the pumpkins and ghosts for my design. I used my electronic cutting machine and flocked heat transfer material in different colors to decorate two black cotton bags. 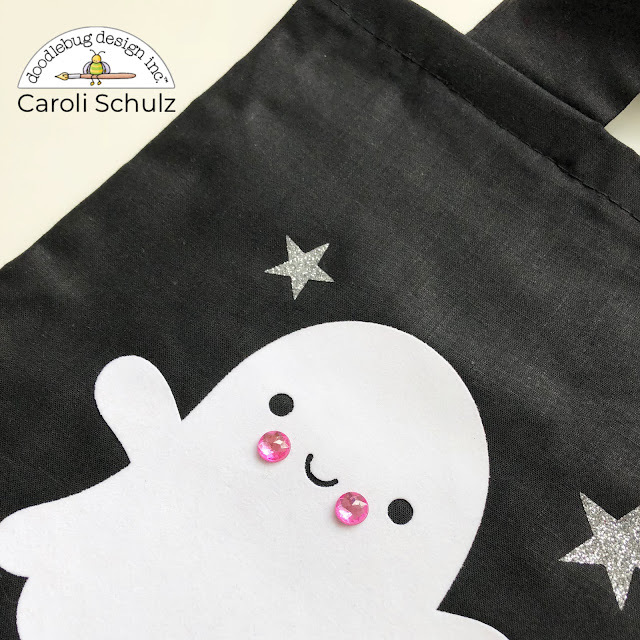 The little ghosts are too cute to spook and the favorite icon of my little girl from this cut file bunch, so I used them for her bag. For an extra cute detail I added some jewels on their cheeks , how adorable is that! 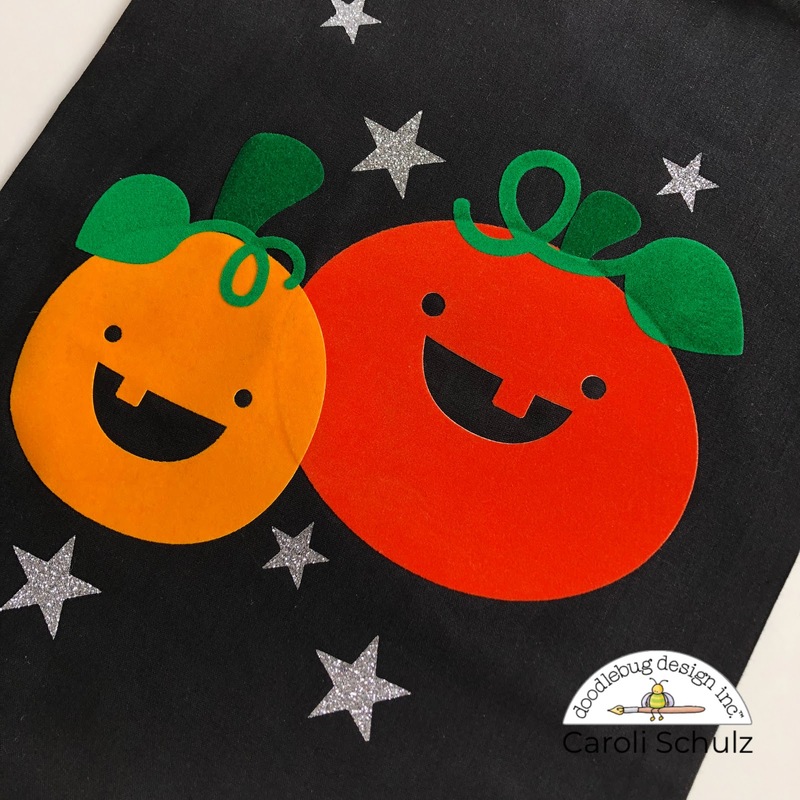 I layered different colors of heat transfer material to create these sweet pumpkins, they are so cute and not scary at all. I completed the design with few silver glitter stars here and there, these make the project more interesting and eye catching (and sparkly!). 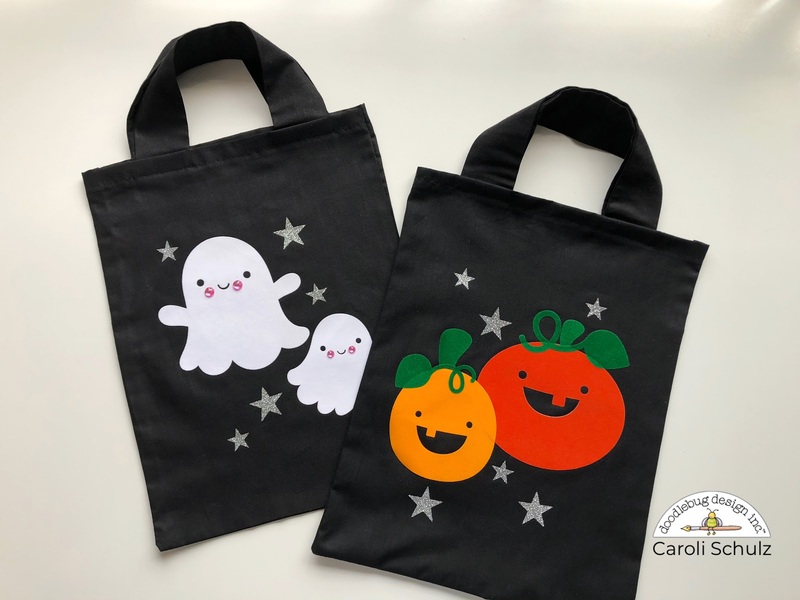 This is a super simple project and the result can't be better, now my kids can go trick-or-treating with their custom made bags! 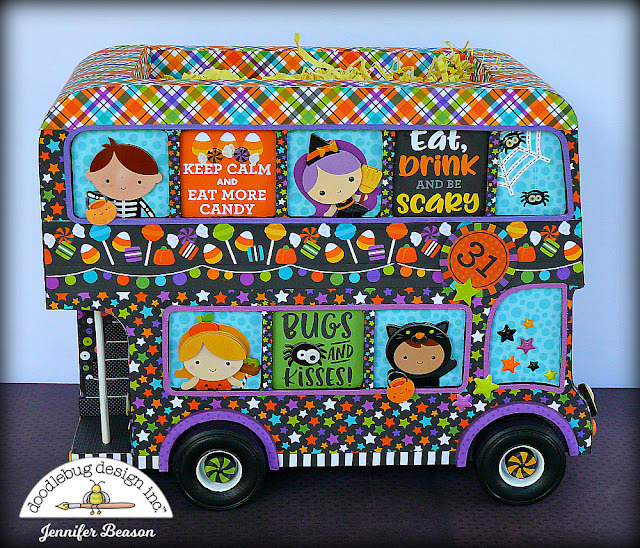 I hope you like this idea and give it a try, I love custom made stuff and this is certainly great way of adding a special detail to Halloween. 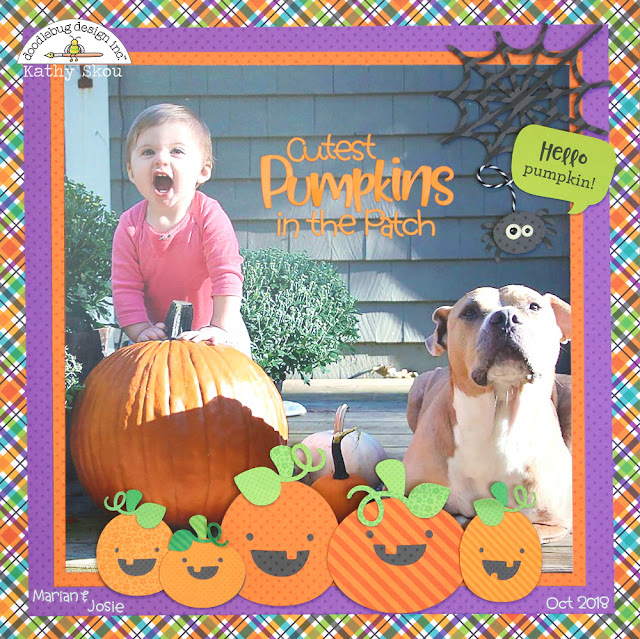 Pumpkin Party is absolutely adorable! This week, I used so many of the elements from the collection to create my spread and I love how it turned out. 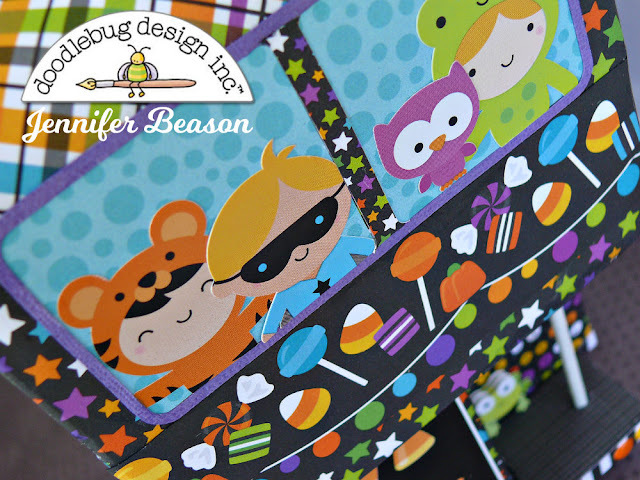 The sweet trick or treaters and the fun colors were the perfect way to decorate my October weekly planner pages. Here is how it looked. As you can see, I went all out with the Halloween decor! Isn't that little werewolf the cutest guy ever? And there is something about those spiders that I adore. I love adding little webs for them to hang from. 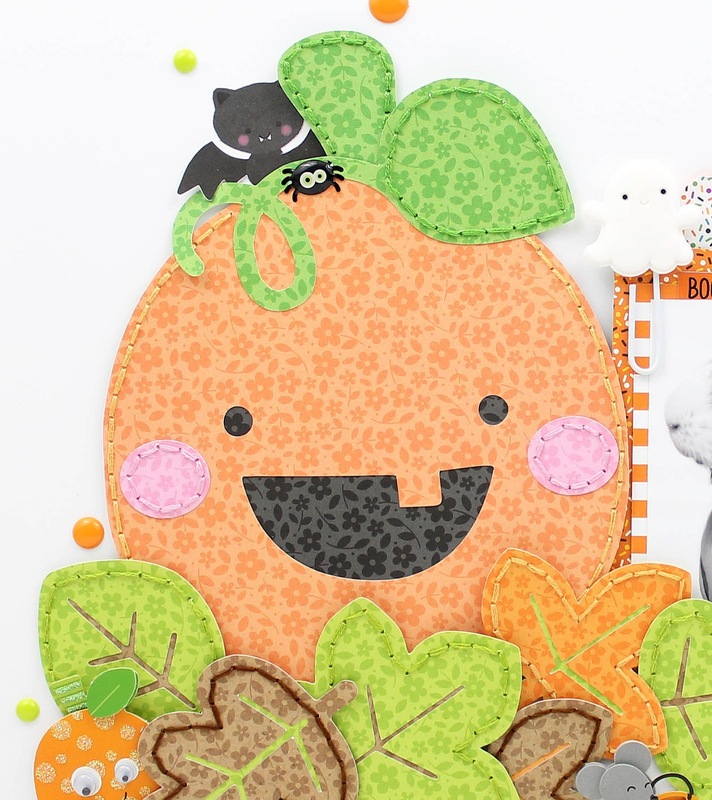 One of my favorite things to do is to add a mix of die cuts and stickers to my pages. Often, there are the same images in each option, but they come in different sizes. I tried the Icon banner sticker first, but needed something bigger for my A5 size planner, so the die cut worked best. And can we talk about the "smell my feet' chit chat??? I HAD to use it! One thing I love adding to my planner spreads is washi and Fancy Frills. The washi makes a wonderful border at the top and bottom of the page and the frills are perfect for defining my daily space. Also, adding in dates or numbers using the alpha stickers is a fun way to show the days of the week. Finally, here is a close up of the bookmark I made. I used three of the larger stickers from the sticker page and adhered them to patterned paper. I trimmed the paper and punched a few holes to hold it into place on the page. I love being able to find my weekly spread instantly and this is a great tool to help me do so. I also love jotting things on sticky notes and sticking them to the back of the page marker. Isn't it fun? That's my spread for this week. I loved using Pumpkin Party and hope you found some ideas to use on your planner spreads. Thanks for stopping by!